Join David Wilcock on a thrill ride of discovery, revealing the "Big Picture" behind the ever-increasingly bizarre headlines we are seeing in today's world. Now you can see a full movie-length, two-and-a-half-hour presentation distilled from David's recent highly-regarded events at the Conscious Life Expo. Enjoy! In Part One, I present data on the Secret Space Program and share the stage with legendary insider Corey Goode. I do feel that this is the best public summary we have done of this amazing story that has captivated the UFO community thanks to our show Cosmic Disclosure on Gaia. All along I have wanted there to be a definitive overview and introduction to the fascinating story that Corey has brought to the world, and this is it. We also establish the connective links between my own experiences over the last 20 years doing this research, including ET contact, and the things that have happened to Corey in just two short years. The 'overview' went much farther than the 53 minutes we present here, as it was nearly three hours long, but I feel some of the most essential material is included in this new video. It was necessary to discuss the Secret Space Program first in this video -- in the interest of pushing for Full Disclosure if these truths do, in fact, start going public. Part One begins with provable data about ancient ruins on the Moon and Mars, strongly suggesting there is far more "cosmic history" in our solar system than we realize. You will also notice my After Effects skills have gone way up. This is the result of three years of dedicated work and study, tantamount to taking on another university degree. Part Two begins at the 53-minute mark, where I connect the dots between intel from multiple insiders to arrive at a stunning conclusion. Namely, it appears that we are on the verge of major new releases of information that will transform everything we thought we knew about life on earth -- making Atlantis a fact, not fiction. 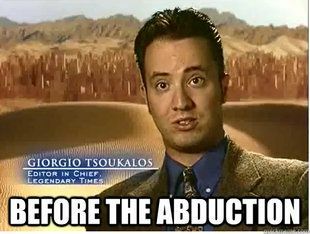 Giorgio Tsoukalos, the "Dude With the Hair" on Ancient Aliens, might even need to flatten out his mane in order to present this type of information to an esteemed, international audience with "proper respect." 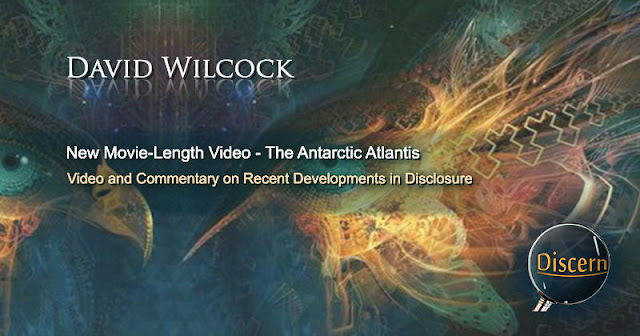 The original conference footage centers around three main events: The "Five Alliance Groups" with Corey on Friday, 2/10; "The Antarctic Atlantis" on Saturday, 2/11; and "Ascension Geometry: What it Takes to Make it" on Monday, 2/13. Each of these events were livestreamed as they happened, and they run nine hours in total. There is no wasted time -- the data is very dense and there is quite a bit to talk about. You can order the David Wilcock Trilogy Pass at normal, competitive conference prices by going to consciouslifestream.com. A majority of the proceeds go to finance our mission-critical operations. Several slides were missed in the livestream, which is not uncommon. I spent an entire month meticulously rebuilding any missed cues in the sections we have released, and improving the graphics. I was so stuck in the "creativity vortex" that I didn't get much else done during this time. I kept thinking I was almost finished but then would see all these additional things that just had to be in there. The Monday event began with an entire hour of "cosmic stand-up comedy", which I feel is the best I've ever done in terms of getting an audience to laugh to the point of tears -- while providing enlightening and deeply personal insights. I do believe this is the result of how much my life has improved on many different levels in just the last year. I am in a much happier and better space and am continually working to improve any areas that still need attention. The second and third hours of Monday are a tour-de-force examination of the geometric nature of the Universe. You can get the jump on content that is still months away from appearing on Wisdom Teachings, my personal hosted show on Gaia. With this new model in hand, I present stunning new scientific evidence suggesting the Sun will indeed give off an epic, DNA-transforming flash of light and energy in our future. There is great value in taking these new insights and putting them all together in a short, single summary. Everyone at the end was telling me it was the best talk they'd ever seen me give. Despite all the material we covered in the nine hours, our new video also works very well as a stand-alone story with a beginning, middle and ending that is awesome in scope. We were originally going to release 50-minute sections of each talk, adding up to about two and a half hours. This version was nearly complete when news came in that changed everything. The Alliance very strongly lobbied for the full, public release of the Endgame III briefings, so none of that data was hidden behind a paywall. That is exactly what we did. In fact, frustration was conveyed by the fact that I hadn't written up Endgame III in an article form any earlier. Both Corey and I have been distracted by a variety of issues that have impacted such releases. By the time I heard all of this, it was too late to go back and change the past. However, I spoke with the people at Conscious Life Stream and we all agreed to allow this video to release the Endgame III data in full. Hopefully this release can help to re-establish better relations with the Alliance. It is never enjoyable to hear, through Corey as a second-hand source, that they are unhappy with my efforts -- or lack thereof. I have formally requested that they contact me directly if they want me to be more involved. So far that has not happened, except through indirect contact with insiders such as Pete and Corey. In the meantime, I have also been working intently on a home broadcast studio solution that will allow for live-streaming of professional-quality updates as needed. There is a huge need for me to be able to release content quickly, effectively and with high quality as we head into this dizzying final phase of the Cabal's takedown and mass public exposure. I just ordered my first truly broadcast professional-level 4K SDI Sony camera from dealsallyear.com, who had the number-one best price, and it will be in by next Thursday. This is the apparent origin of what we are now calling the Cabal, Illuminati or New World Order. It can be difficult to appreciate the scope of provable data that this narrative ties together. Thus negative comments say there is "no proof," it is "disinformation," et cetera. The sheer number of different insider testimonies and scientific data points satisfied by this explanation makes me very confident that it is indeed the truth. These Pre-Adamites had giant bodies, elongated skulls and greatly-advanced IQ compared to native Earth humans. There has been an awesome, official cover-up surrounding the countless examples of giant skeletons with elongated skulls that have been found around the world. It should be very clear to the objective observer that "someone" very much does not want us to see this information and connect the dots. The Pre-Adamites also had advanced technology that allowed them to establish civilizations all over the Earth -- and create bloodline aristocratic dynasties. Since their population numbers were very small when they arrived, they engaged in an extensive cloning program. Even in the early years their population consisted primarily of hybrid beings, where their own DNA was blended with that of various indigenous Earth cultures. Thus you see hybrid humans with elongated skulls who have Mesoamerican features as well as others with Middle Eastern features in Egypt, South Africa and elsewhere. 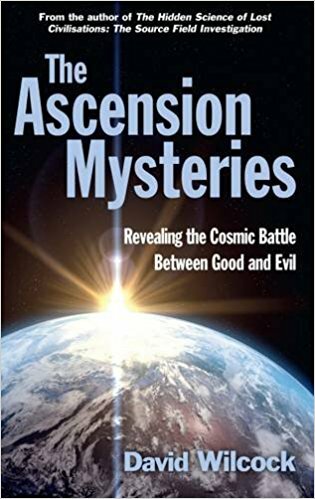 I still feel the definitive summary of this story, combining insider data with scientific facts, is in my new book The Ascension Mysteries, which I consider to be required reading for any investigation of this subject. At long last, the official version for the UK, New Zealand, Australia and South Africa is out -- so don't miss it! Please stop in to Amazon UK and leave a review, as there are only 17 at the moment -- and that makes us vulnerable to trolls and haters. Tens of thousands of you have been waiting for this official UK release. I am not sure why it took so long, but the important point is that it is here now! As you have already seen, the reviews from the US have almost all been a solid five stars -- which I feel was no accident. I poured my heart and soul into this book and it shows. The first half is a personal examination of how living under the Cabal can affect our lives. My own story is very similar to that of many others, and it answered a widespread request for you to learn more about my own past. The second half is a tour-de-force scientific examination of the evidence to support the cosmic history of the Illuminati as we are now discussing it. The Pre-Adamites were aware of other ET groups working in and around Earth, including the "Elohim" that most of us would consider to be benevolent. These groups have since hidden themselves from view after the Mohammed Treaty, circa 800 AD, where they concluded their presence was too disruptive to our native cultures. The flood that destroyed Atlantis, turning it into Antarctica after the earth shifted on its axis, was allowed and authorized to occur by the Elohim. The Pre-Adamites were aware this was going to happen before it did, and pled for clemency. They were denied. The entire story is preserved in the Book of Enoch, an apocryphal gospel that Jesus quotes from repeatedly in the New Testament, showing he was well aware of it. The Pre-Adamite civilization was nearly wiped out in this catastrophe, approximately 12,500 years ago -- but their people survived with their memories intact. They are still pissed off about being so heavily attacked by the Elohim. The Russell Crowe film Noah gives a surprising amount of insight into this ongoing, hidden religion within the global elite. A revolution is now occurring where many people who claim this DNA lineage are turning away from the psychopathic, genocidal aspirations of some of their ancestors. Insiders like Pete Peterson, and others, typically define this as the "battle between the Older Cabal and the Younger Cabal." The younger Cabal members are sick and tired of all the craziness that their forefathers have perpetrated upon the planet, and as they inherit the power structures in place, they are doing their part to change things for the positive. The Alliance is a conglomeration of many different groups who are working together to save our planet. All of us are hybrids and have a variety of different DNA traces in our blood. Any time a particular group tries to elevate itself to the status of an "elite" that feels they have the right to enslave and murder others, we have a cosmic imbalance that must be righted by the benevolent ETs that manage our world. As I say in the video, many of our strongest heroes are ex-Cabal members who have now decided to fight against the hold-outs who still want to enslave and murder billions of people. The insider briefings I have gotten from Corey, Pete Peterson and others are so encouraging-sounding that I almost don't dare believe them -- but the evidence is lining up very nicely. Apparently the Cabal is already very much on the ropes. You may not like the Trump Administration, but it is undeniable that a civil war between rival government factions is playing out in our headlines as we speak. In private conversation I have been likening Trump to the "battering ram" that smashes open a hole in the Cabal castle so the Alliance can go pouring in. It is obvious that the Cabal and its cutout media is making every possible effort to destroy, de-legitimize or otherwise impeach and remove Trump from office, in what would be an unprecedented event in American history. Many of us have our own ideas about what we would like to see, and what we are not seeing. Nonetheless, this is how the events are actually playing out in real time. Had Hillary been installed as president as planned, the Alliance's final moves would have felt far more like a coup than what we are now seeing. The Wikileaks "Vault 7" data is a very stunning new development we haven't had any time to pursue. The CIA is now in the crosshairs. I had heard that as much as 60 percent of the CIA had flipped over to the Alliance, but apparently many of them flipped back to the Cabal once the screws were tightened and lethal pressure was applied -- to them and their families. The Huffington Post was once a bastion of independent journalism, but since being bought out by Verizon and ousting Arianna Huffington, it has turned into another corporate media outlet within the Cabal's fading monopoly. WikiLeaks on Tuesday released a trove of 8,700 documents, which it claims originated at the CIA’s Center for Cyber Intelligence, that describe, in detail, the agency’s hacking abilities and techniques. Among the more interesting revelations of the so-called “Vault 7” documents, assuming they’re legitimate, is the sheer breadth of devices government hackers could possibly compromise. Using those operating system hacks, the CIA could potentially also gain access to information generated by encrypted messaging apps, like Signal and WhatsApp. It’s critical to note, however, that the CIA apparently hasn’t hacked the apps themselves. In other words, unless you’re a high-value target and the CIA has compromised your phone’s operating system, you’re probably not on its radar. Zerohedge is definitely an Alliance voice, flying directly in the face of Cabal-controlled media. If you read what Wikileaks has actually said, there are so many stories hidden in the Vault 7 documents that we can't even begin to imagine how much people will discover as they begin looking. No. WikiLeaks has intentionally not written up hundreds of impactful stories to encourage others to find them and so create expertise in the area for subsequent parts in the series. They're there. Look. Those who demonstrate journalistic excellence may be considered for early access to future parts. I am not sure if we are going to see much in the way of UFOs or Secret Space Program data in these CIA Wikileaks files. Simply put, this is not an area that the CIA has very much interaction with. So I wouldn't get our hopes up too much on that front. Nonetheless, for months now, Corey Goode has been predicting that we were going to see a "Data Dump War" as the Cabal reaches the breaking point. I was stunned -- quite remarkably -- by the Vault 7 releases, and can't wait to see what you come up with as we all pore through these contentious new documents. It is unclear how long this phase of the battle will go on before we see the Antarctica information emerge. We have heard that multiple secret grand juries are now poring over the Pizzagate data in the Wikileaks emails and other sources, such as the emails seized from Anthony Weiner's laptop. If Pizza / Pedogate prosecutions become a mainstream story, then we can imagine that within a very short time it will be curtains for the Cabal. I decided to "stick to my guns" as all these things were happening and finish the Antarctica video you are about to see. I felt like this was still the most important use of my time in this critical moment in world history. 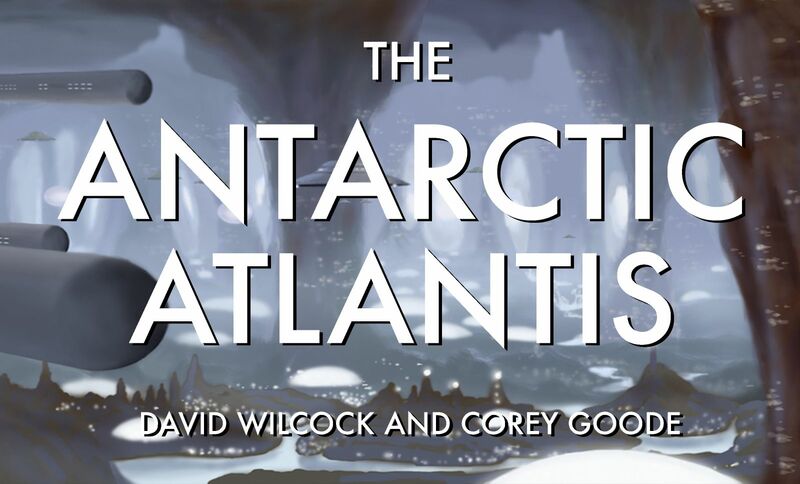 Without any further ado, here is our new two-and-a-half hour tour-de-force of live disclosure, The Antarctic Atlantis. Enjoy!